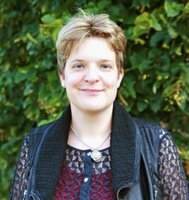 Anja Bettenworth is Professor of Classics at the University of Cologne. She studied Classics, History, and German at the universities of Münster and Venice. In 2005 she spent a year at the University of Michigan as Feodor Lynen Fellow of the Alexander von Humboldt Foundation. From 2008 until 2011 Anja Bettenworth was a member and in 2011 acted as vice representative of the ‘Young Researchers’ program of the North Rhine-Westphalian Academy of Sciences and Art in Düsseldorf. Her current research projects include the reception of antiquity in the cinema and in contemporary North African literature, a project on the narrative technique of Curtius Rufus' Historiae Alexandri Magni, inscriptions in Roman elegy, as well as banquet scenes in Late Antique Christian epic poetry (as part of the international research collaboration "Sacred Meal, Communal Meal, Table Fellowship, and the Eucharist: Late Antiquity, Early Judaism, and Early Christianity“ of the universities of Oslo, Uppsala, Kristiansand and Kiel), and a new publication on the Argonautica: "The Gods in Valerius Flaccus", in: J. Murray and C. Schroeder (edd. ): The Cambridge Companion to Apollonius Rhodius (forthcoming).